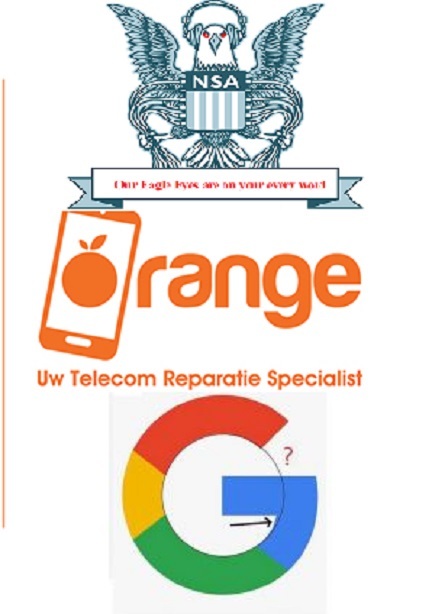 Yesterday, October 15th, Google announced a new partnership with privately run and partially state owned French telecom giant Orange to build a new transatlantic cable. Far from being a snub to the Brexit befuddled United Kingdom, the partnership creates a host of new surveillance opportunities in Eastern Europe, Africa, Spain and France itself. This will greatly expand Google's usefulness to global surveillance by the five eyes nations (US, UK, Australia Canada and New Zealand) through their already developing infrastructure level projects. Any data that is touched by a company in the United States is fair game for the NSA if it is from a “foreign source.” This is routinely done through routing data out of the United States and back in through a program called XKEYSCORE which was revealed by Edward Snowden and is so well known that it was featured in a John Oliver skit. The cable will be active by 2020 and have truly astounding data throughput. Orange's share without Google's routing of world wide searches is enough to transmit 30 hours of high definition video every second. This creates the capacity to route phone calls between Poland and Egypt through the United States, record them, and let them move on. The number of world-wide users is huge without factoring in Google's stratospheric balloon based service providing division, called Project Loon, into the equation. This scheme may provide backup to the Orion class satellites already tasked to listen in on that data stream currently in geosynchronous orbit above the Indian ocean under a project codenamed MENTOR. Below is a breakdown of countries with the majority or near majority of the cell phone customers that will be vulnerable to the NSA using Google as a Trojan horse at the gates of Paris rather than Troy. Countries not listed above are still vulnerable if they have secured their domestic telecom communications with encryption at the bulk network level. Germany is especially vulnerable. A cellular device with service through Orange could be used to upload data in Poland. The data would then pass through Germany to France on it's way to the United States. While it would be both encrypted and decrypted in Germany, it would open other communications in Germany to cryptographic attack. If the uploader was an American intelligence agent and the final downloader was the NSA, this cold be used to execute what is called a “chosen-plaintext” attack. Through choosing plaintext for certain mathematical qualities and observing the generated cyphertext, the NSA gains a huge computational advantage in launching their cryptographic attack on any data encrypted along with the planted message, and thus whole groups of phone calls, video conferences and text messages become suddenly wide open to attack just for having passed through the wrong wire along with the NSA's Trojan horse whisper. Far from being hobbled by whatever chaos the UK's final Brexit “deal” might be, the five eyes nations and their ever intertwined intelligence communities have gone a full step ahead on virtually all of the European Union. Three major nations in the Middle East and some of the most populous states in Africa are a bonus as now Google has a second market penetration into those nations as a backbone level service provider and not merely a search engine. The deal with Orange will provide Google with one of the seven total transoceanic high speed fiber cables they intend to build. Along with China's “One Belt One Road” infrastructure initiative, this worldwide cable laying project is the beginning of a second colonial carving of the entire global South akin the European power's accelerated land rush into Africa in latter half of the nineteenth century. If science fiction characters could describe what is beginning in front of our eyes, it would be James Holden calling this a “blood soaked gold rush” and it would be easy for him to be sadly correct. Google and Orange are providing the means of transnational surveillance, information control, and repression to the intelligence community while soaking themselves in profits and hoping the blood will either wash away or be ignored.